I know I've ragged on the Hobbit movies in my posts, but I still enjoy them. I like the cast, I find Jackson and his collaborators' approach to the material to be... interesting, and the visuals are nice, though they look a bit more Warcraft than Tolkien. (I'm pretty sure that's where the notion of dwarves having burly Scots accents originated, as I can't find any textual basis.) 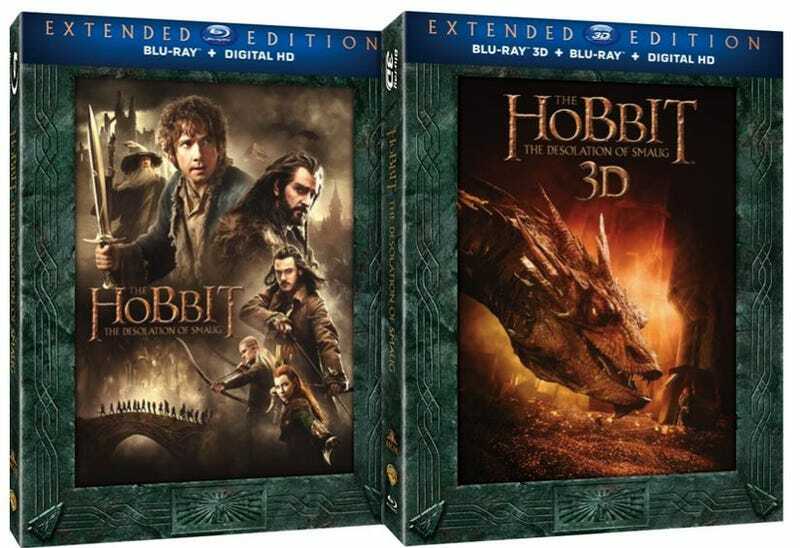 So I buy them when they come out on Blu-Ray... or, more accurately, I wait another six months and pick up the Extended Editions. I loved the EEs for LotR; it was like getting the movies all over again a year later, with interest. (And the extras for those old DVDs are still second-to-none.) So far I haven't gotten the same warm nostalgic feeling for the Hobbit movies... but then again, The Hobbit ain't LotR, no matter how much they try to stretch it out. That said, the 25 minutes of extra/alternate scenes in Desolation of Smaug are considerably more substantial than the eight or so minutes added to Unexpected Journey. If you're curious about the longer version, here's what's been added, with star ratings for relevance and entertainment value (* = Meh, ** = Blatant Fan Service, *** = Of Interest, **** = Snazzy). SPOILERS will obtain throughout. That's pretty much it, though there are probably a number of shots and lines of dialogue that were added to the EE as well. I can't say that the new material makes the movie any better — it doesn't help the stuff that was dodgy to begin with, like the video game-y setpieces on the river or inside Erebor. But, if you liked the movie, or the franchise, and just want a bit more of it, the EE is a fun way to kill a little bit more time than you did in the theater.